In a bowl over a double boiler or in the microwave oven, melt the chocolate with the cream and corn syrup. Stir in the butter and combine thoroughly. Pour into a 20-cm (8-inch) square glass dish for the ganache to cool faster. Cover and refrigerate for 2 to 3 hours or until the ganache is firm but malleable. 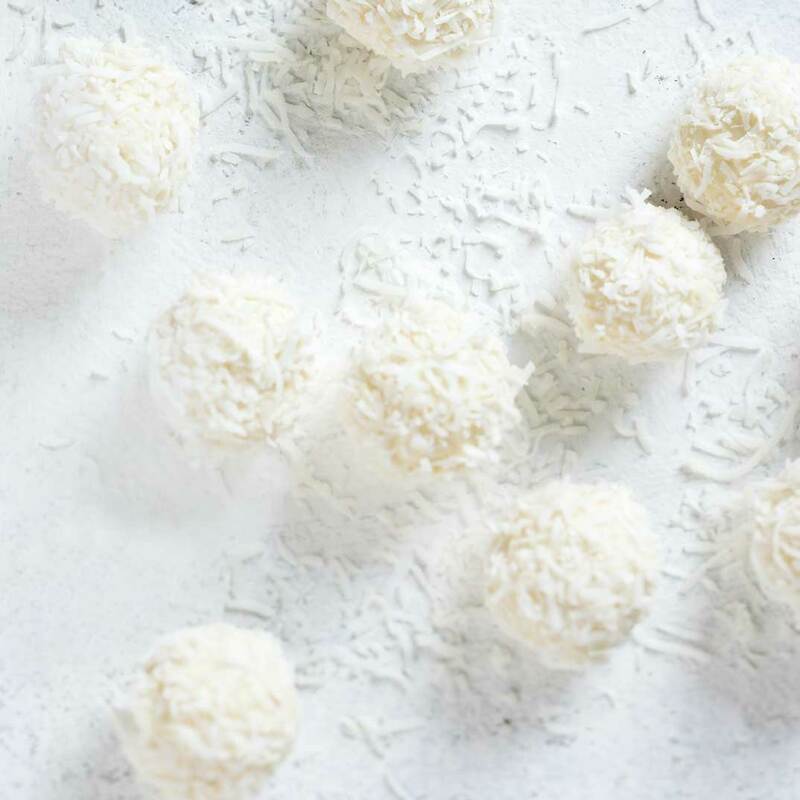 With a spoon, scoop about 7.5 ml (1 ½ teaspoons) of ganache for each truffle and insert a macadamia nut in the middle. Shape into balls with the palm of your hands and place on the baking sheet. Refrigerate for about 30 minutes. In a bowl over a double boiler or in the microwave oven, melt the chocolate. Let cool slightly. Place the coconut on a large shallow bowl. If desired, wear a latex glove for this step. Lightly dip a truffle in the chocolate and roll in your hand to coat with a thin layer of chocolate. 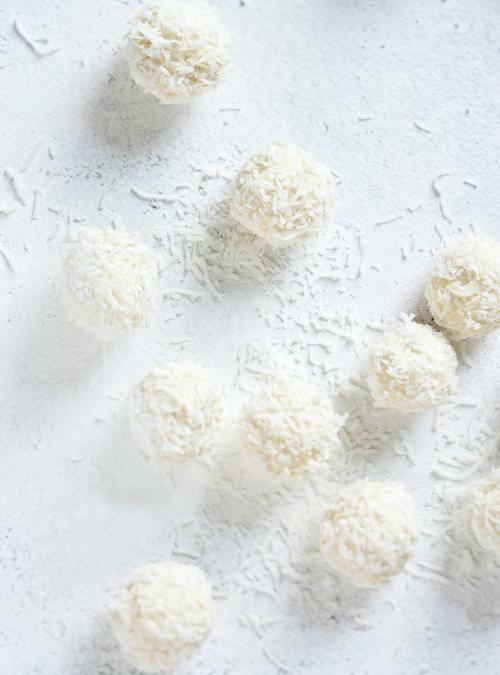 Roll the truffle in the coconut and place on the baking sheet. Repeat with the remaining truffles. Let set for about 2 hours or overnight at room temperature. Store in an airtight container. Keeps for about 3 weeks.